Following today's announcements of the iPhone 6, iPhone 6 Plus and Apple Watch, Apple has removed the iPod classic from its online store. 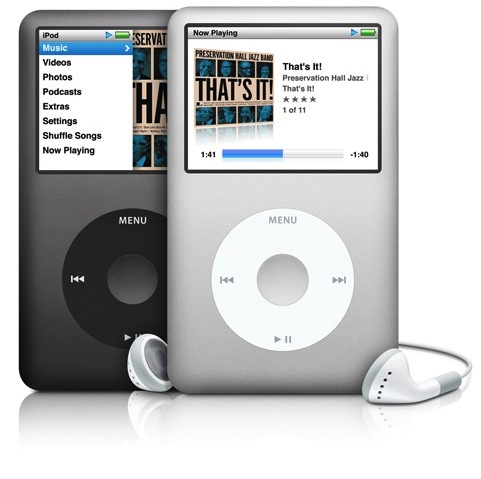 The last iPod classic was introduced in September 2009, and while a number of rumors have pointed to a discontinuation of the product, Apple still chose to sell it in silver and black color options at $249 for a number of years. Earlier this year, CEO Tim Cook was quoted as saying that the iPod was a "declining business." In May, Apple removed the sidebar link to the iPod classic in several of its online refurbished stores, leaving only the iPod nano and iPod touch. The iPod was Apple's "halo" product for years, introducing many consumers to Apple's line of products. Since their peak in 2008 however, iPod sales have declined sharply as the iPhone and iPad have captured more of the market. It had a damn good run. RIP iPod Classic, you were my first Apple device, the entry drug. I will pour some of my malt liquor on the ground tonight in honor of the iPod Classic. That iPod WAS doomed after all! The click wheel lives on (in a way) through the :apple:Watch. And yet they still show the iPod classic as the icon for iPods in the online store. Still need a 1TB (or preferably a 2TB) HD audio device. Dang it, I want all my music with me when I travel! I'm glad I got a classic when I could. It's perfect for the car, until Apple releases something with enough storage to hold a modern music library.